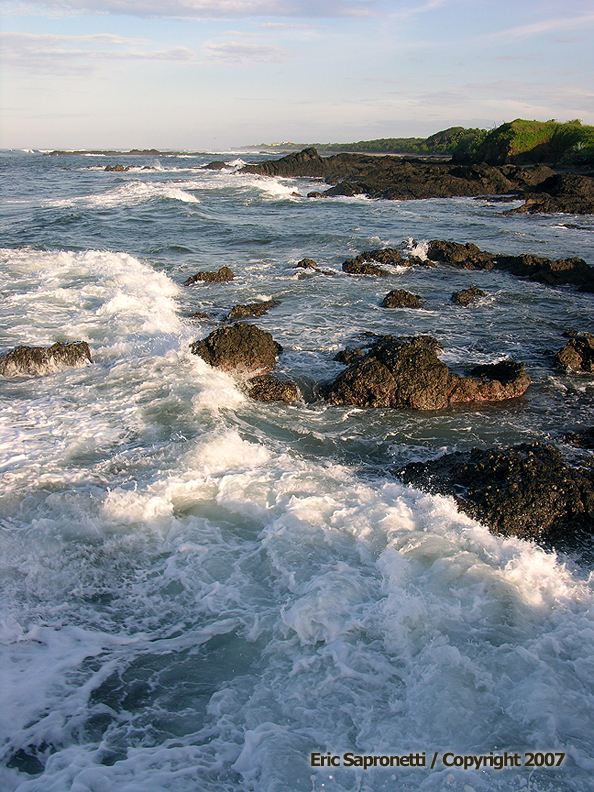 The Pacific coast in Costa Rica is craggy with large outcrops of volcanic rock. Water is a powerful force, however, and is not to be denied it's access to the coast, a fact that makes for an exciting photograph. Price for 11X14 print. Please respect my Copyrights.